iiNet customers who are moving house in the future will need to think about moving their internet connection too. Generally, the cost is around $50-$100 to transfer the connection. It's also a good time to have a look at the new iiNet plans on offer. Moving house is often a mammoth task - the packing, moving, disconnection of utilities… it can all be a little overwhelming sometimes! One of the things that people most worry about is not having an internet connection set up in time at their new property, and we don’t blame them - the world truly does run online these days! If you are an iiNet customer who is looking to move house, this article is for you. Below we’ll look at the steps you can take to ensure that your internet connection gets transferred from your old home to the new one as quickly and as seamlessly as possible, so read on to find out more. One of the first things you’ll have to do when you’ve planned a move is to contact iiNet directly. This is a step that you should take as early as you possibly can. The earlier, the better! Ideally, you’ll want to get the process started at least a month prior to moving home. You’re also advised to provide the details of your new home to your customer representative, allowing them time to make sure that your new property has access to the internet. Whilst most properties in this day and age do indeed have the ability to sustain an internet connection, there’s nothing wrong with being careful and checking, just in case! Once you’ve provided iiNet with the details of your new home, along with some other information such as your customer details, they’ll get the ball rolling and monitor the process until it is completed. You’ll be provided with updates via text or phone calls if requested. Costs can vary when it comes to moving your internet connection from old home to new. Generally, you will be looking to pay between $50-$100, depending on the type of setup you need. If a technician is required to assist you with setting up your connection in your new home, the costs may add up to slightly more than previously mentioned. Different areas have different infrastructure, so you may be switching to a different kind of internet when you move. You’ll be advised of any necessary switches and costs prior to committing to anything, so don’t worry about surprise bills popping out of nowhere. Time frames can vary depending on iiNet services you’re signed up to, as well as the infrastructure at your new home address. Keep in mind that relocation work that requires a technician can’t commence until you have the keys to your new property, which might stall the process slightly. Whatever the case, iiNet will try to ensure that there’s as little downtime as possible. Transferring of NBN connections usually takes up to 2 working days after the connection appointment (appointments subject to technician availability). What Are Some Of The iiNet Plans On Offer? Many people take the opportunity when they move to upgrade their broadband plans. 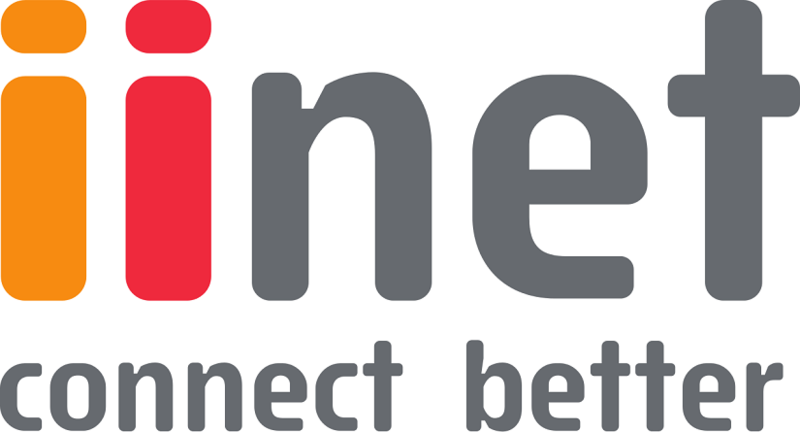 Below are some of the most popular iiNet plans available in the market today. Which one suits you best? iiNet offers an NBN Fibre Basic 500 plan which includes 500GB of data at $59.99 per month with typical evening speeds of 11Mbps. For shared homes or large families, this may not be enough - iiNet’s other broadband plans might be more suitable to your home’s needs. An upgrade from NBN Fibre Basic 500 is the NBN Fibre Basic Liimitless plan (with unlimited data at $69.99 a month), followed by NBN Turbo Liimitless and NBN Max Liimitless (both unlimited data at $79.99 - $119.99 a month). These plans are ideal for a household of multiple individuals, allowing everyone to stream their music and shows at the same time. These plans also come with local and standard national calls, making it easy for you to reach out to friends and family abroad. We hope that this article has helped you understand the steps you have to transfer your iiNet broadband connection when moving homes. If you have more questions, feel free to call us today. How do I unsubscribe from iTunes subscriptions?